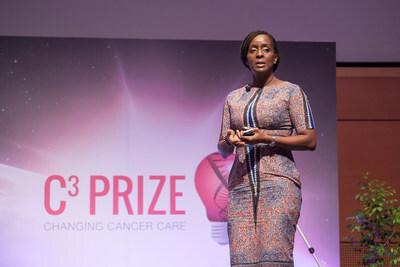 NORTHBROOK, Ill., Oct. 4, 2018 /3BL Media/ -- Astellas Pharma US, Inc. today announced that Ebele Mbanugo of Lagos, Nigeria, Run For a Cure Africa Breast Cancer Foundation, has been chosen as the Grand Prize Winner of the third annual C3Prize, a global challenge that supports non-treatment innovations aimed at improving the cancer care experience for patients, caregivers and their loved ones. Mbanugo will receive a $50,000 grant and mentoring to help bring to life her winning idea to transform cancer care. The other two Category Winners receive $25,000 grants.